An enjoyable taste and aroma. A pleasant medium flavoured smoke for a good price. It has easily accessible flavours. It has a slightly tangy, grassy taste of young tobacco amongst a fairly creamy coffee and woody flavour. 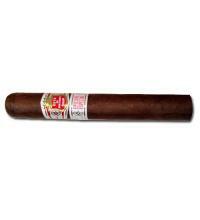 I’m a cigar novice so take what I say with a pinch of salt... A lot of Cuban for a very reasonable price! I got close to an hour smoke from this one so, value wise, this is an awesome cigar. And the flavours of young tobacco and wood are definitely there. However I didn’t begin to really enjoy this cigar until the final third. The draw was quite poor until half way down. The Cuban flavours are there but it doesn’t really develop until half way down, at which point it turns spicy. 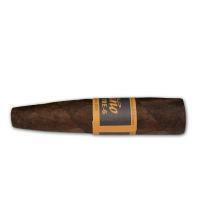 I would buy a smaller vitola next time but I think I’m more inclined to sample some new world cigars first. 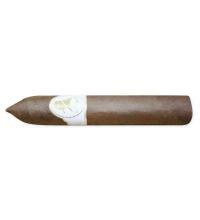 I’d recommend forking out a little more for a Montecristo or RyJ if you’re after a more rounded, complex Cuban flavour. Pleasant smoke overall, though. I keep coming back to these as they are such good value for money! Whilst not overly complex I do enjoy the flavour. After 5 packets I am yet to run into any significant quality issues, far from it, I have always found the build and the draw excellent. A bargain stick in my humble opinion. Iv smoked many Cubans and non Cubans for 15 years now and I always find myself coming back to these. The flavours and enjoyment you get from these are up there with the best of them in my opinion. Originally I was put off by the price thinking "How can a Cuban be this cheap with that ring gauge and length and be any good?"... But after I tried them my mindset completely changed. These Cubans are on par if not better than alot of the medium to strong Cubans on the market in my opinion. 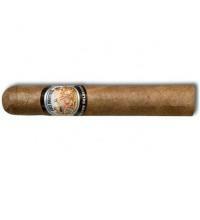 The flavour is a lovely earthy taste and hints of spice towards the later third of the cigar. I must have smoked these on and off for the past 7-8 years and still cant understand as to why these are so cheap. I highly recommend giving these a go and believe you wont be able to find a better Cuban for the price. I like these. I brought back a box of 25 from a recent trip abroad. 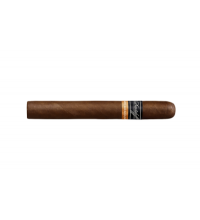 I’ve smoked at least 12-13 so far (only 3 from the box of 25 I bought back), and they have that distinct Cuban background taste typical of all the Cubans that I’ve smoked so far, as well as slightly sweet hints of woodiness. They go well with coffee I find. At 6” with a 43 ring gauge, these bad boys can take a while to get through and rushing them will only ruin the flavour. I like these for those evenings when I know I’m going to have at least an hour and a half to myself to sit back and relax with a smoke. They’re nowhere near as nicely constructed as other Cubans though. They’re rough, and flaky, with enormous veins and sometimes, green spots. They don’t seem to have varied much in terms of taste or the way they smoke. The ash can be dark or light grey, sometimes white and sometimes white speckled with black. It’ll fall off quite easily and isn’t very firm, so I don’t recommend letting it get much longer than 1/4”-1” without rolling the ash off. They don’t burn amazingly evenly either, but they don’t seem to go out and usually sort themselves out so that there’s rarely a need to light a match or use a lighter to correct an uneven burn. They’ve gone up in price since I last bought any from Cgars, but they’re still amazing value for what you’re getting. A Cuban cigar. In my book, any Cuban cigar under £10, in the UK, is a bargain. I highly recommend these to any new smokers, as an inexpensive introduction to Cuban cigars, as an inexpensive evening smoke and as a good humidor filler. I give these cigars 4/5 for flavour, but only 2/5 for construction and burn. I’m splitting the difference and giving them 3 stars. Still a great smoke though. Got to be one of the best Cubans there is for the price factor, including the length and the ring gauge being right up there! Also, around 90+ % of the ones I've smoked have all been great, with that nice Cuban taste coming through as your smoke progresses. This and the other JLP sizes happened to be my daily smokes for a good several months.